A compelling biographical study of a leading twentieth-century British artist, 'Graham Sutherland: Life, Work and Ideas' offers new insight into how he and his paintings developed. 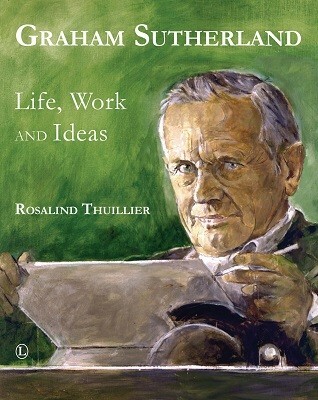 In the culmination of her life's work, Rosalind Thuillier builds on the reflections and recollections of a friendship spanning decades to craft a comprehensive study of Sutherland's life and works, interweaving his perceptive responses to his own art, taken from personal notes and correspondence, with critical reviews and collectors' musings to give an authentic picture of the man whose work divided critics. Drawing on Sutherland's personal archive, the book includes an expansive collection of images that provide a fresh view of the artist. Studies by Sutherland, along with preparatory works for what would become renowned paintings, are published for the first time. Graham Sutherland's distinctive style and the emotions that shaped the paintings are here vividly explored. Thuillier describes not only the inspiration he found in the windswept Pembrokeshire countryside, but also his time as an official war artist, and his friendships inside and outside the art world.She expertly details the process behind the creation of works such as the controversial portrait of Churchill (1954), subsequently destroyed, and his most famous work, the huge 'Christ in Glory in the Tetramorph' tapestry (1962) in Coventry Cathedral. 'Graham Sutherland: Life, Work and Ideas' is not merely a biography, but a journey behind the scenes of the artist's career, exploring the paintings, relationships and influences that formed his vision as an artist and his undeniable contribution to art.